It is located in Kemaman Supply Base-Phase II, Terengganu with 16,000 ft2 (1440 m2) covered floor area and 2,000 ft2 open yard. The workshop is to support our represented equipment and others in mechanical and electrical maintenance services and it has been operating since August 1st 1999. It is fully equipped with the necessary equipment for rotating equipment (turbines & pumps) repair/overhaul and electrical AC/DC motor repair. 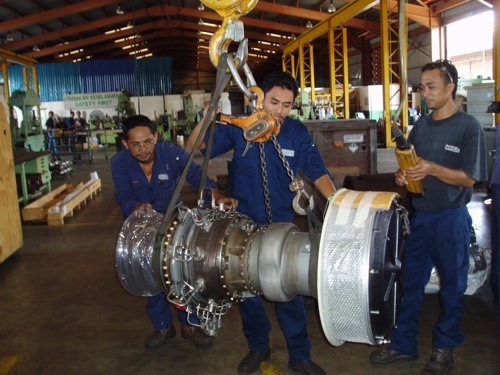 The workshop and service team are strongly supported by technical personnel who have the hands on experience in repair, service and overhaul works of mechanical and electrical equipment such as steam / gas turbines, pumps, compressors and electric motors. Overhaul and Repair of Kongsberg KG2-C, Ruston TB5000, Mann-Borsig, Avon and Rolls-Royce (level 2 repair only) RB-211 gas turbines. Overhaul and repair of Steam Turbines. Centrifugal gas compressor and rotor overhaul. Gas turbine gear boxes, bearing capsules overhaul and repair. Dynamic balancing of turbo machinery equipment. 1) Centrifugal single and multi-stage pumps i.e. Byron Jackson Goulds, Peerless, Johnston, Ingersoll-Rand. 2) Submersible electric motor type pumps i.e. Reda, Byron Jackson, Grundfoss. 3) High Pressure type plunger pumps i.e. Union, Thyssen. 4) Submersible pumps i.e. Reda, Grundfoss, Flowserve. 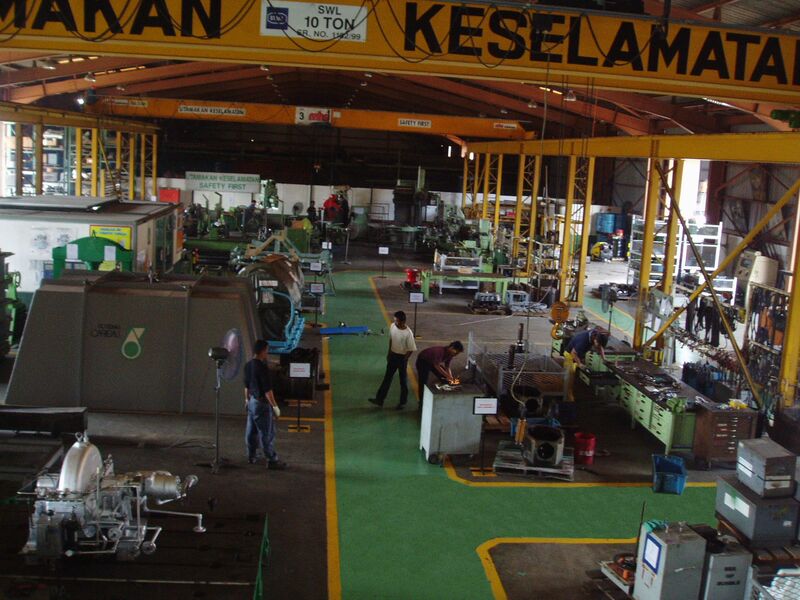 5) Centrifugal single and multistage horizontal process pumps i.e. Byron Jackson, Ingersoll-Rand. Able to identify accurately the faults developed in rotating equipment and offer quick rectifications for the root cause of problems. Able to perform up to 10,000psi pressure test. 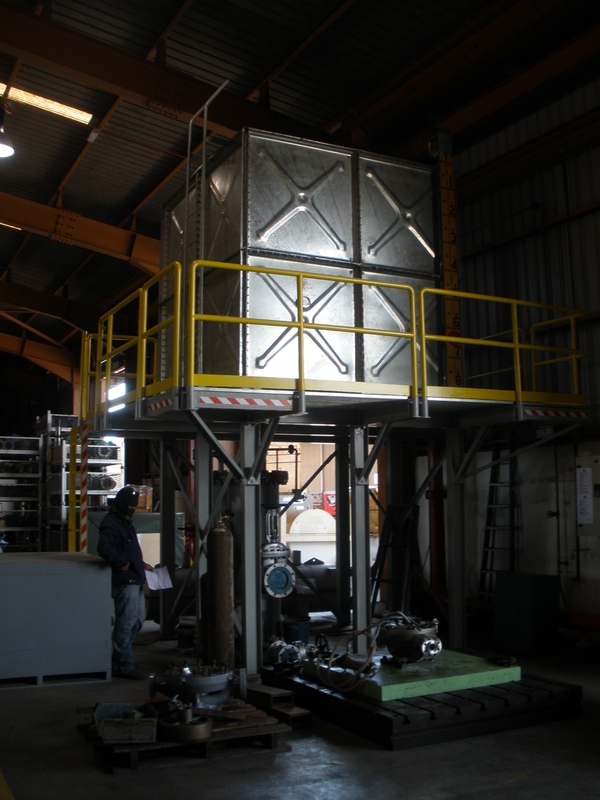 Able to perform gearbox mechanical running test or complete pump performance test. Parts Machining / fabrication works. Overhaul and services for all types of AC and DC vertical, horizontal and submersible type motors (up to 300 HP). Testing for motors up to 300 HP without load. Repair of worn armature shafts and bearing housings. Service and repair of transformers. Rewinding of motors and generators (up to 400 kW).